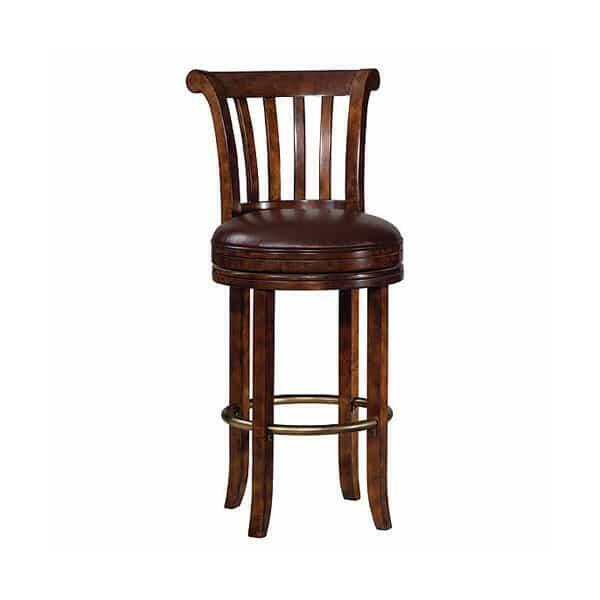 This swivel bar stool matches the 693-000 Ithaca bar and offers a brown cushioned seat with metal support springs, and antique brass-tone foot rest. Seat height is 30". Weight capacity is 300 lbs. 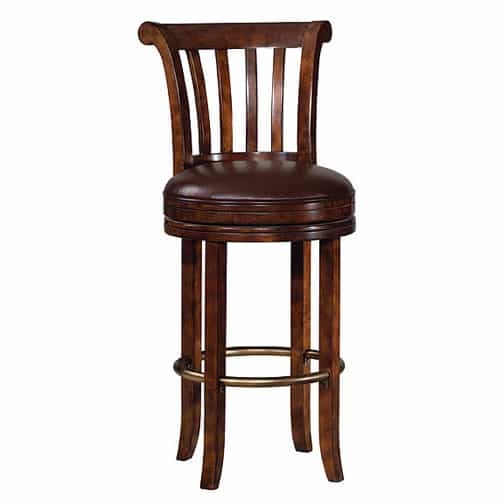 Hampton Cherry on select hardwoods and veneers.